Although Southeast Ohio was the first part of the state to be settled, today it also the least populated area of the state. 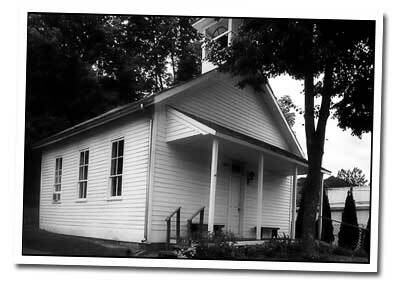 At the heart of an area which was once a massive coal mining operation, is McConnelsville. The first settlers arriving here formed a little village named Old Town. Named for War of 1812 General Robert McConnel, born in 1778 and died in 1841. Just a few years after hostilities ended with England, the general founded the little town along the Muskingum River, but its founding was anything but peaceful. The birth of the town coincided with the creation of the county. Bitter in-fighting among political foes, back room deals. In all there were 5 locations, 3 of which were nearby farm lands, but it was Malta located across the river from McConnelsville and of course McConnelsville. The political intrigue was finally resolved when the Ohio legislature decided to put the county seat on the newly created town of McConnelsville, in part because of Robert McConnel's war-time alliances in congress and the fact that he deeded the land for the new courthouse, he also deeded land for 3 additional lots that would be used for construction of a school and church. Morgan County Courthouse is located in McConnelsville. 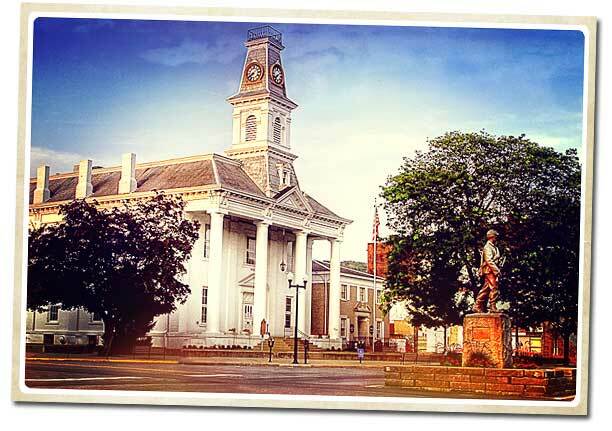 The first courthouse was built here in 1820 and replaced with the current structure in 1858. The Greek Revival style structure has been renovated several times since its construction. The dramatic clock tower was added in 1886. In 1960 the building was modernized and enlarged. Stones for the original courthouse were used to form part 9f the wall surrounding the front lawn. Residents named the town after Robert McConnel, one of the community's earliest residents. The first settlers originally called the village Old Town, which was inhabited in 1817. Showroom with 2,500 unique dolls on display. Built in 1836 by the grand daughter of General Robert McConnel, founder of McConnelsville, Helen Moore married Dr. Hiram L. True. Together they lived here. Evelyn True Button was born in this house in 1875. Evelyn traveled throughout the world as a missionary training teachers. She became an ardent supporter of women's rights. At the age of 100, an accomplishment that she was very proud of achieving Evelyn True Button, the Great Granddaughter of General McConnel, passed away in her home that she had known all of her life. 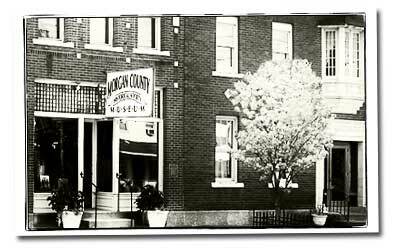 In her will she donated the property to the Morgan County Historical Society. Tour the Victorian decorated home along with the carriage house and blacksmith shop located behind the house. The carriage house contains artifacts related to horse-drawn transportation. 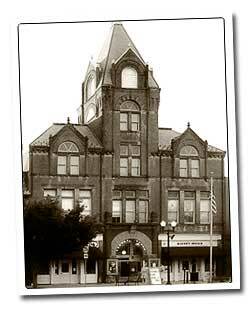 The Twin City Opera House first opened in 1892 and has been in continuous operation ever since. The first movies were shown here in 1913 and it was the first building in McConnelsville to have electricity and electric lighting installed. The new electrical lighting proved to be unreliable and was replaced with gas lighting fixtures which can still be seen throughout the building. Located across the river is the small community of Malta. The Village of Malta dates back to the earliest days of the State of Ohio. During the War of 1812, an ex-sailor, Simeon Pool, and his son-in-law, John Bell, settled in this particular area. These gentlemen laid out the first lots of Malta in 1816. Mr. Pool named this new town in commemoration of his visit to the Island of Malta in the Mediterranean Sea. The original plat for Malta contained one hundred and fourteen lots. Built in 1877, the old school house was originally a couple miles south of its current location. The old building was used as a one-room classroom for 57 years to educate students in grades one through eight. The building was completely disassembled and rebuilt in 1991 exactly as it was in the 1930s when the school was closed. For six years in the 1833, prisoners were confined in a dungeon near the Court House in McConnelsville, across the river. 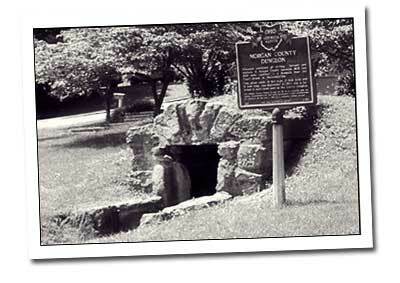 During construction of a new sheriff's office and jail in 1964 this stone vault was discovered and believed to be the dungeon mentioned in historical documents referring to the location where prisoners convicted of larceny, adultery and rioting were placed to serve out their punishment. The stone vault which is 11 feet high, 5 feet wide and 12 feet long was relocated to its present location in Malta in 1965. The dungeon is located behind the old Town Hall on Main Street.